Back when I had my first baby and she became ill or was acting out of sorts, all I had were books to lean on. If I had to make a doctor’s appointment because I knew she was sick and getting sicker, I had to hang on the phone and keep checking back because I was constantly getting a busy signal. It was endlessly frustrating, and all of the waiting for a doctor’s visit and worrying when she was sick would stress me out to the point where I couldn’t sleep. It wasn’t a great combo for a new mom. Time ticks on, and I noticed over the years that things were slowly going digital as far as health care was concerned. When I got my blood work done for my last pregnancy 6 years ago, they asked me if I wanted to view the results online by the next day. Um, yes please! To not have to sit and ponder ‘what if’ my blood work was off took the stress away. Even better? My doctor received the health record as fast as I did, so if I had questions I just had to pick up the phone and we were both seeing the same results. But I knew we’d turned a corner on the road to digital health care when my daughter came down with Scarlet Fever last year. Yes, people still get Scarlet Fever. It’s basically strep throat gone wild. Because she was prone to getting strep throat and already had it twice that winter, I knew something was up when she had a white tongue and all over body rash, so I looked it up and then threw her in the car (what, me panic?) to take her into a medical clinic. Once there, I discovered that every single clinic was over capacity and not accepting patients even though it was 12 pm on a Monday. I knew she needed a prescription, and I knew she needed to see the doctor, so I did what any other mom with a computer would do. I downloaded a few health apps and tried to get a doctor online. It was definitely a weird experience at first, and I’m sure I had all of the same concerns that other parents have when ‘visiting’ an online doctor, but I received a Scarlet Fever diagnosis in under 10 minutes and a PDF of a prescription was on its way to my email one minute after that. Instead of a sleepless night hoping I’d get to see a doctor the next day, I was managing that illness immediately. For a mom, there are no words for that kind of relief. This kind of tech can be a lot to absorb for people who lived before smartphones and the Internet, and as a baby from the 70’s I qualify for both of those categories. But I can’t imagine life anymore without online access to health care. When we visit a walk-in clinic, we receive printed prescriptions. If we have to go back to the walk-in clinic for a follow up, all of our records are right in front of the doctor on the computer. Even my own doctor, bless his heart, has finally moved into the digital age and now has computers in every room. Instead of thumbing through his notes, he just taps a few buttons and asks me how I’m feeling. Even my parents, who I’ll admit are the most die hard anti-tech people out there, will access their blood work results and monitor their doctor’s visits and prescriptions on their smartphones. They live in small town Saskatchewan, and the time my dad had to take my mom into a hospital in a strange city because she got sick? Thanks to me, he had all of her medical information on an app on his phone. It saved him a lot of stress, because his memory isn’t that great anymore. In small towns like my parents and big cities like the one I live in, access to digital health care is increasing every day and making life easier in ways you might not even notice. Visit Better Health Together to see how digital health is already working for you. It’s brought to you by Canada Health Infoway, a not-for-profit organization funded by the federal government, which supports the implementation of digital health technology in Canada. I’m kind of thrilled so much of health care is going digital, and when life is so busy and so stressful to begin with? It’s so nice to have my family’s health care organized and easy to access. This post was brought to you by Canada Health Infoway, however the images and opinions are my own. 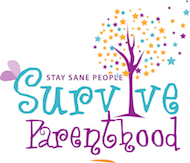 For more information please visit www.betterhealthtogether.ca <http://www.betterhealthtogether.ca/?utm_source=survive-parenthood&utm_medium=pr&utm_campaign=savvy-mom> .